Good skincare is the base of any beautiful face – but of course, a little make-up never hurts. It’s unlikely you’ll ever be photographed as much as you are on your wedding day – so it’s easy to go a little overboard with wedding makeup – and look at your wedding photographs like you’re a bad music video extra from the ‘80’s. If you’ve never been one for red lipstick or blue eyeliner now may not be the best time to start experimenting. You want to look like you on your wedding day, only a better version. Imagine getting to your husband at the end of the aisle and him not recognizing you through all the eyeliner, contouring and false eyelashes. He loves you. He knows who he’s marrying. No need for nasty surprises at the end of the aisle. Some light and most photographs do tend to make you a little ‘washed out’. 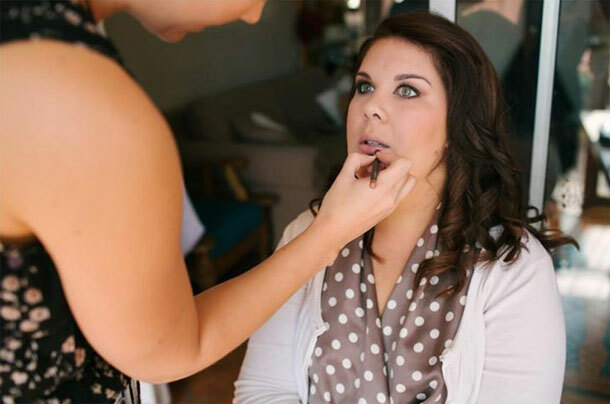 Your makeup artist will more than likely be a professional, so trust their judgment (mostly!) 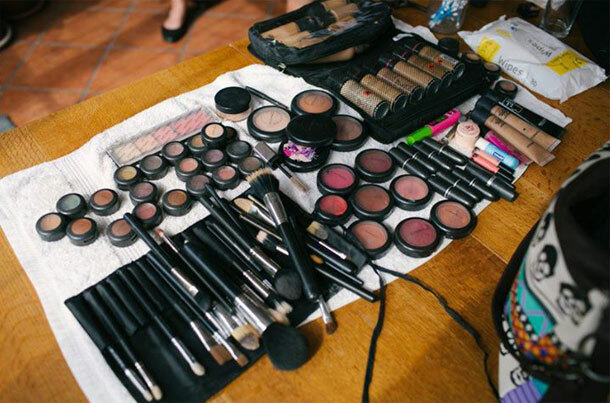 – they may put on more make up that you feel comfortable with as they know how it will translate in photographs. Don’t panic. It’s also worth investigating makeup artists who have some background in TV or film as they’ll be even better at judging. Obvious? Yes. Important? Yes. When my makeup artist did my makeup, I immediately thought it was too much, too dark and too dramatic. I was wearing a summer dress with a cardigan and my hair was undone. When I put on my wedding dress, it was absolutely perfect. It’s an important aspect to remember – what may look a little silly and overdone for ‘normal life’ could be simply perfect with your wedding dress.